250,000 Page Yield. 110/120 Volt. Note: Page yields are based on the industry standard. Does this work in your machine? 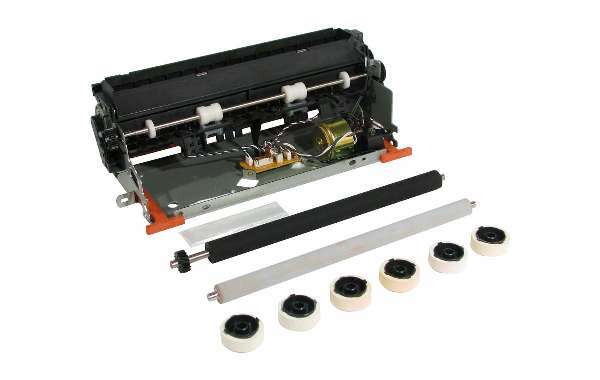 This is a premium quality Lexmark 99A2420 compatible maintenance kit that's 100% guaranteed to perform as well as the Lexmark brand kit - at a fraction of the cost. Our premium quality 99A2420 compatible maintenance kit will not void your machine's warranty and is backed by a 100% quality and satisfaction guarantee for one full year. Click here for details. However, it's a little misleading as 5% of a page is actually very little print - about the size of a small memo. For example, if you're printing on 50% of the page, the expected page yield would be a tenth (10%) of the stated page yield. So your page yield will most likely be less than the stated yield - no matter where you buy the cartridge - as everyone's yields are all based on only 5% coverage.